The second in their series of singles for Loner Noise, ‘Glitter’ finds Bristolian purveyors of post-punk / industrial racket mining a full-on grunge seam. And Christ, do they bring the weight on this outing. A thunderous, churning riff, as dark as hell and twice as dense, provides the backdrop to Charlie Beddoes’ angst-filled reverb-drenched vocal. ‘Glitter’ is pitched as ‘an introspective and poetic take on the mental strains of being a performer, with the moments of exhilaration on stage often coming at the cost of a great deal of stress and in some cases depression, ruminating on whether the highs would be as powerful without the lows’. Lyrically, it’s introspective, but sonically, it throws it all out there, and slams it down, hard. And then kicks it around a bit. 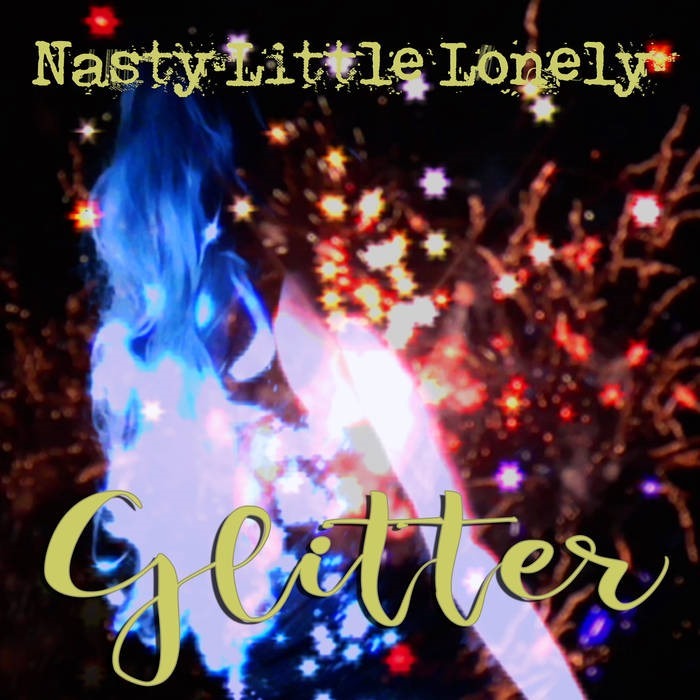 While Nasty Little Lonely have always had attack, ‘Glitter’ is perhaps one of their hardest, heftiest, and most unforgiving cuts to date. While instrumentally they’ve never been soft, the melodic vocal elements common to their previous outings are relegated in favour of all-out abrasion here. And it’s absolutely bloody storming.